Join Tom Holcomb on Sunday, October 14th at the Main Branch of The San Francisco Public Library. He will be sharing his experiences preparing his latest book project, Deaf Eyes on Interpreting The discussion will include some of the issues that were covered in the book about ways the interpreting experience could be improved for both Deaf people and interpreters and is sure to be a lively event. See flyer below for details. 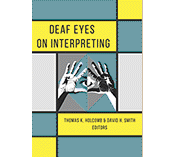 Posted in Deaf Eyes on Interpreting, interpreters, New book, New book, Deaf Eyes on Interpreting and tagged Deaf Eyes on Interpreting, interpreters, Thomas K. Holcomb. Bookmark the permalink. 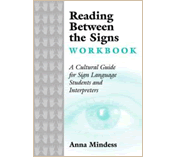 As a college professor of Deaf Studies for the past thirty years, I’ve been frustrated by the limited selection of teaching materials for my Deaf Culture courses. Many of my colleagues have also shared the same frustration. To address this problem, I have collaborated on several projects to develop various instructional materials (books and DVDs) to support Deaf Culture courses. 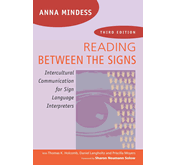 Yet, I still felt was something missing: a college-level textbook designed specifically for Deaf Culture classes. 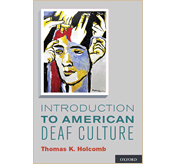 To fill that void, I decided to write a book on American Deaf Culture and I’m excited to let you know that after ten years work, Introduction to American Deaf Culture will be released this fall, published by Oxford University Press. I will keep you up to date on its progress through this blog.